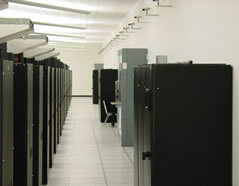 SpiralWebs servers run under the ThePlanet data center located in Dallas Texas. ThePlanet has seven barebone gigabit/second lines and four Barebone 2 gigabit/second lines. Our servers are all Cisco servers, running the latest release of Redhat Enterprise. SpiralWebs was founded in October 2002 by Joseph Sklover in Washington, DC. He created the company feeling that there was a lack in small, yet professional web hosting companies, where the client and the company could hold a close, personal bond. As of now, we have achieved our goal. We specialize in making the best hosting package for you! SpiralWebs uses the latest version of CPanel with dozens of add-ons, allowing you to personalize your website and hosting experience in unlimited ways! We feel we can take on any challenge, small or large, and are willing to put out exactly what you pay us for. Feel free to browse around at our prices.